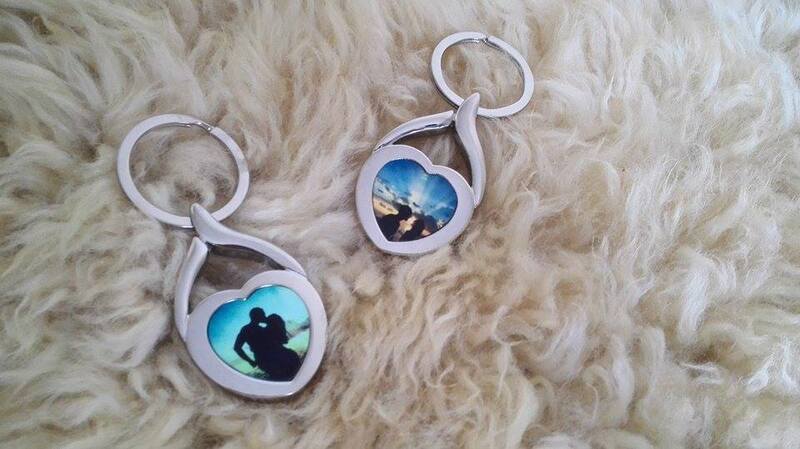 Custom make Gifts in my personal opinion is one of the BEST Gifts you can give as a gifts to your Friends, Lovers, Families, company events, neighbours and even colleagues ! in opening a Booth or a shop! Here's where I get Cheap, Affordable Custom make gifts for my love ones ONLINE ! And Guess What? It's not a WEBSITE but just on FACEBOOK! have a variety of products to choose from Custom make printing on Mugs, iPhone Casing, Glitter Jigsaw Puzzle, Keychains and even on Cushions !!! 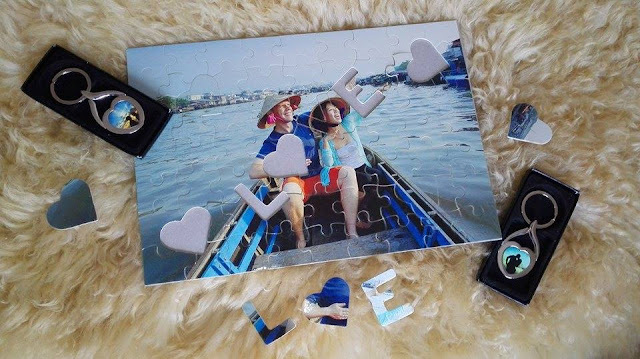 To me, I love travelling and have printed lots of Photobooks and pictures on our travel but I had never ever got a JIGSAW Puzzle printed with my travel pictures on it ! What surprised me was that It's not a NORMAL JIGSAW Puzzle ! It's printed with LOVE words and Love symbols on it too ! I never thought such unique Jigsaw puzzle with Love word and Love designs can be printed out too ! This is in A4 size and it's quite a good piece cause if it gets bigger then Im gonna have problems with the arranging the Jigsaws all together. He/She that receives it gotta take time to rearrange them and might find it a CHALLENGE ! Well, my picture is VERY hard cause the water ripples looks soo ALIKE ! OMG! It's OUR picture ~! That's soooo Unique !! OUR HOME BELONGS To US ONLY ! or maybe just a reminder of your love every time he/ she finds their car keys or work locker keys. Personally, such custom make gift is perfect for like Weddings, Valentines, Father's/ Mothers Day, Birthdays and even Proposals ! 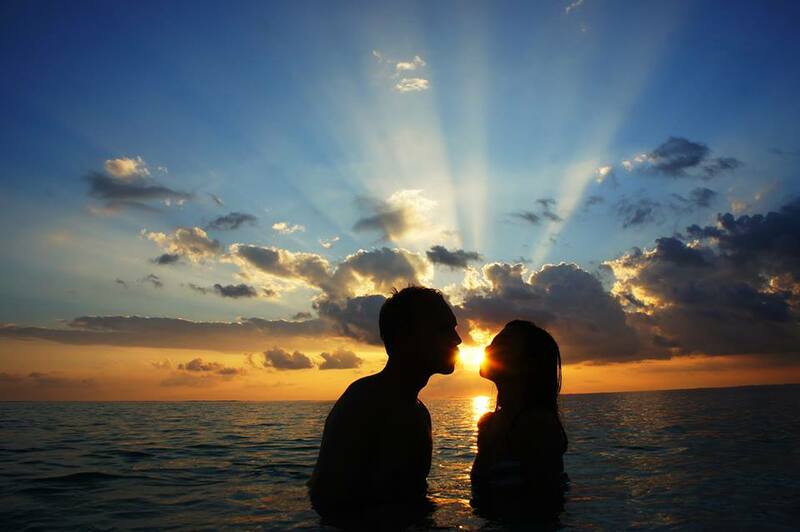 He proposed in Maldives and those pictures were from Maldives. 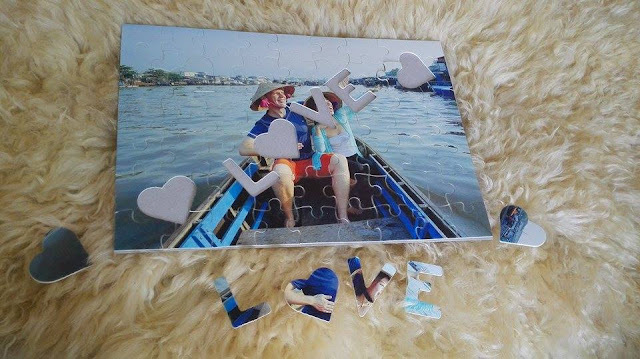 Whereas, the Vietnam Puzzle gift was a Thank you Surprise to him for my 5th year in Norway. 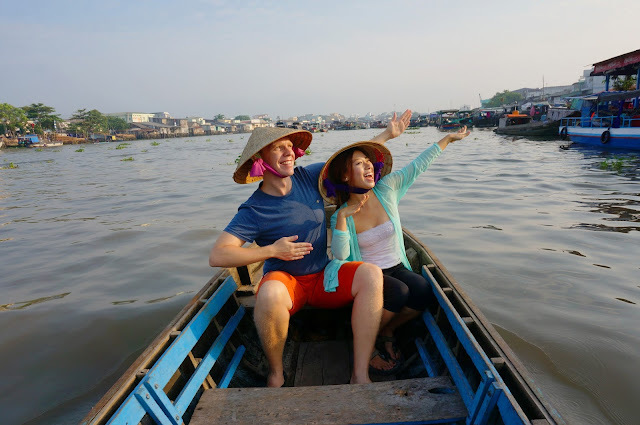 Time sure flies fast and these custom make gifts I make personally is a show of gratitude to my lover for the wonderful travels we had all these years together and also a reminder to us about the parts of the World we stepped on. And to think about Nowadays, we lack in appreciating pictures we took as taking pictures is so easy and there is no need to printing them Out as they are available online on clouds. But what if, What if one day the world has lost all the Data information and no electricity. At least, these printed images will leave us some good memory of what we had been through or where we had been as we all know our memories fades as time passes. 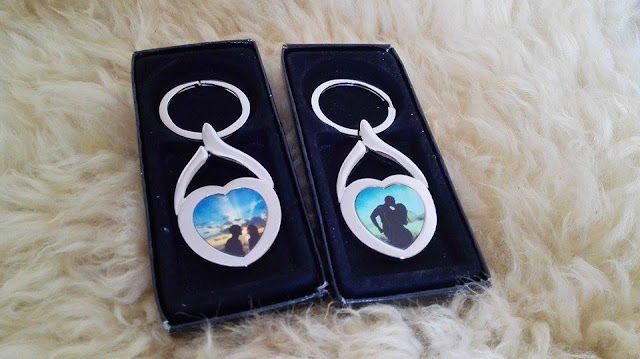 So instead of investing on Branded goods for that love one as a give, why not get them a personal custom item which would always remind them of your love and presence in their life and how much you appreciate them and will never forget them ever. facebook and they will attend to your needs and design ! !